Thanks to its shallow panel set back, minimal relief, and clean styling the Amesbury is probably the most simplistic shaker door offered by Conestoga (CWS). 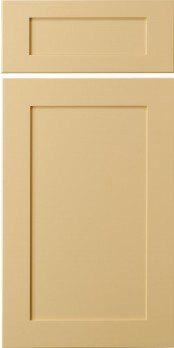 To make this a door optimal for painted finishes, CWS created the Amesbury (MDF) door. Consider using this full MDF, five-piece mortise & tenon joined door if you want a traditional door with a painted finish.